Encourage students to explore the world around them with x-rays, figurines, posters, puzzles, and specimen sets. 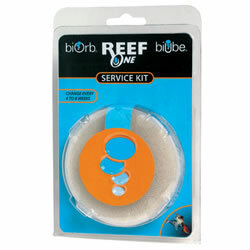 Products also include terrariums, stamps, feeders, egg incubators, flags, volcano making kits, and more. 3 years & up. Look under the magnifying glass to see the different details of the shells or use for counting, sorting, and up-close viewing. 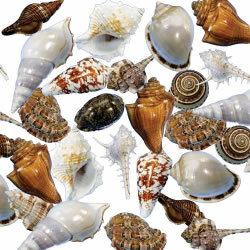 These 48 genuine sea shells comes in different sizes. 18 months & up. 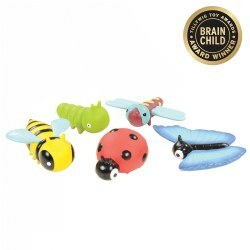 This set of 5 vibrant and chunky garden insects introduce children to common bugs. 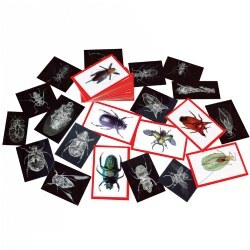 Includes matching photo activity cards with real images and fun facts about each insect. Insects measure 5" each. This set features 12 posters showing beautiful scenes in nature. 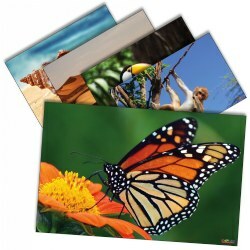 The 11" x 17" images are perfect for children to identify with nature and animals. 4 years & up. 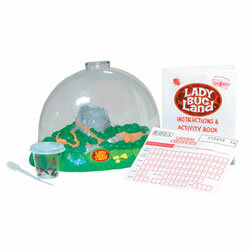 A metamorphosis kit for ladybugs. Watch nature work its magic as you see ladybugs change from cute little larvae into adult beetles in their own Ladybug Land! 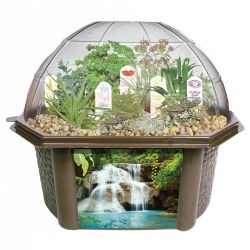 Includes see-through habitat, voucher to redeem online for 10 to 13 ladybugs and food (at an additional cost), built in magnifier lenses, and fun-filled instruction guide. 3 years & up. Match each object to its shadow to build awareness and cognitive skills. 3 - 4 players. Includes 2 double-sided boards and 36 tiles. 3 years & up. 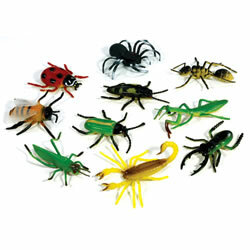 Invite children into the world of insects with this set of 10 colorfully detailed bugs. 4 years & up. 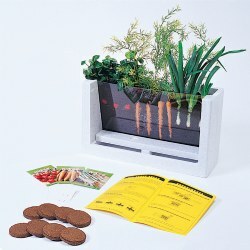 Durable unit with acrylic viewing window, built-in water basin and drainage reservoir, light shield that keeps plants growing but can be removed for viewing roots, 8 super-expanding grow mix wafers, 3 packets of seeds, identification labels and 16 page booklet with complete instructions and experiments. Measures 9 1/4"H x 16"W x 5 3/4"D.
4 years & up. Three different views of your favorite insects and arthropods: top, bottom, and inside. 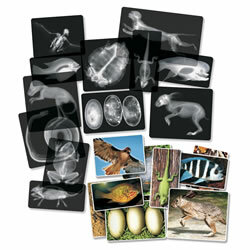 Match all 36 insect X-rays to their corresponding double sided, 4" x 6" picture cards. Teacher guide details each insect. Discover bugs up close or through a magnifying glass. This set includes 2 different beetles, ant, praying mantis, spider, ladybug, grasshopper, scorpion, roach & honeybee. 3 years & up. 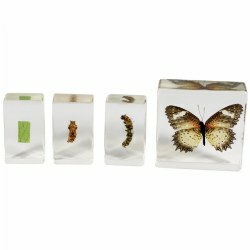 Observe the butterfly life cycle with this durable set. Preserved and encased in clear resin material and can be observed from every side to see the details. Includes four specimens. 4 years & up. 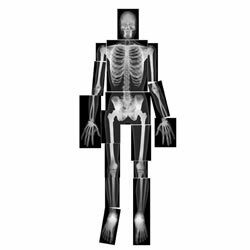 Hold these life-sized human x-rays up to the light or use them on a light table and see every authentic detail of a real skeletal system. Arrange the 18 pieces together to reproduce the entire body of a young adult. 5' tall. Teacher guide included. 8 years & up. 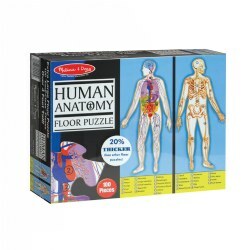 Over 4 feet tall, the Human Anatomy puzzle is life-like in size. Its unique, double-sided design details the body's skeletal structure on one side; and the internal organs on the other side. Children will love exploring and learning with this challenging, 100-piece floor puzzle. Excellent for the classroom! 4 - 11 years. 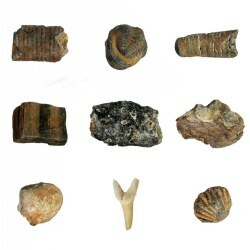 Children will be fascinated by these real specimen sets and teachers will love they are indestructible. 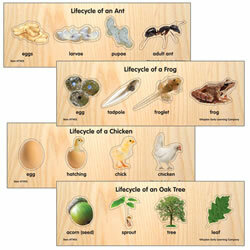 These sets provide children the opportunity to learn about organism groups, life cycles, and parts of plants and animals. The complete specimen set includes twenty safe, lightweight, unbreakable acrylic specimens, and the smaller sets include four specimens each. Measures from 1 5/8" x 2 7/8" x 1" to 3" x 3" x 1". 4 years & up. Design a desert landscape with included gravel, sand, and boulder. Complete with a variety of cacti and succulents including the Giant Sagauro, Pincushion Cactus, Golden Barrel Cactus, Joshua Tree, Century Plant, and more. Easy-to-grow plants will start sprouting in a week and will last for years. Includes growing instructions and care information. Made in the USA. 2 years & up. 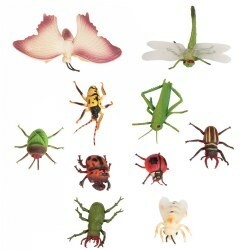 Support children's growing understanding of the world around them with this realistic set of 8 bugs. 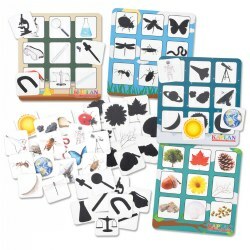 Set includes an ant, beetle, butterfly, centipede, dragonfly, ladybug, spider and woodlouse. 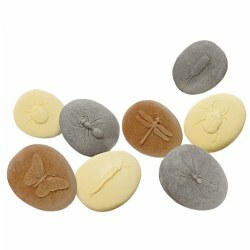 Made from a special stone mix for added durability makes these bugs perfect for outdoor use. Each stone measures approximately 3 1/2". Magnifying glass and brushes are not included. Grades 3 & up. 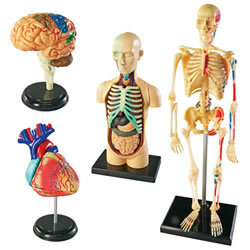 Gain a deeper understanding of how the human body works with this 4-piece model set. Includes: heart model, brain model, human body anatomy model, and skeleton model. Models range from 3 3/4"H to 9 1/4"H. 132 pieces in all. 3 years & up. 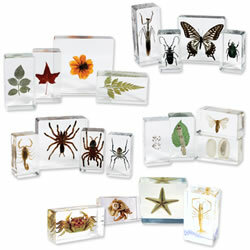 Includes a set of 9 specimens enclosed in a storage container. Identification card with images included. 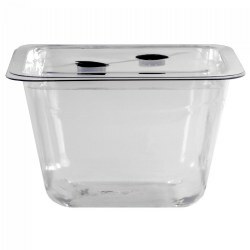 Smallest piece measures approximately 1/4". Made in the USA. 3 years & up. Set the prehistoric scene back millions of years when dinosaurs roamed the Earth! 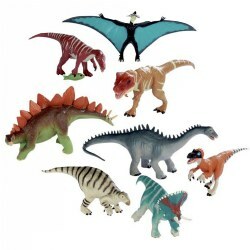 This Eight Piece Dinosaur Collection features various species of the most fun and ferocious dinosaurs that ever lived from the Triceratops to the Tyrannosaurus Rex. Includes: 8 Dinosaur figurines. 5 years & up. 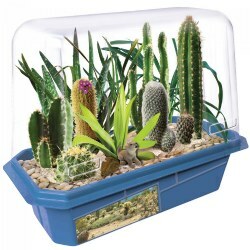 This individual aquarium/terrarium is perfect for your classroom or home. 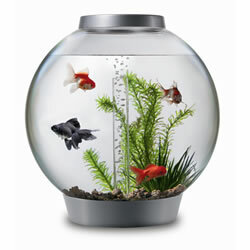 The one gallon size makes a terrific terrarium for plants or aquarium for small fish. Best of all, each is made of plastic that is sturdy for all types of use. The molded "feet" on the bottom keep them from harming furniture. Makes an excellent learning tool for children of all ages. Measures 8"L x 4 3/4"W x 1 1/2"D.